Since I live in Spain and I am dedicated to the organization of weddings, I have noticed the many differences that exist between the celebrations here, much more classic and traditional, and those of Netherlands. 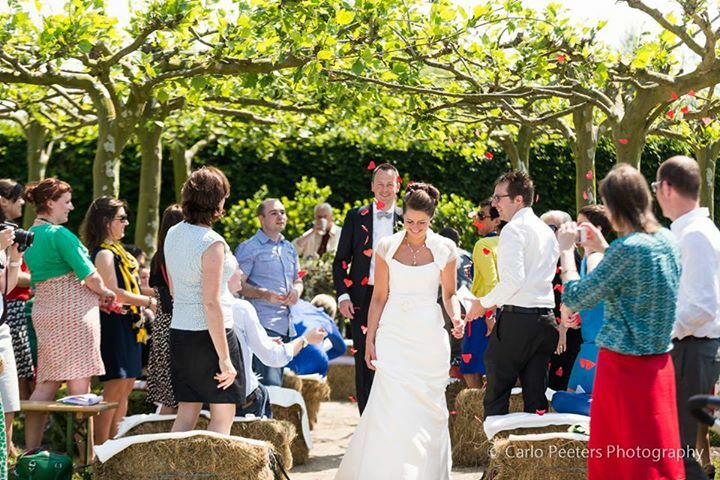 Of course, I do not share all the elements of Dutch weddings, but there are some that are very inspiring. To beget start, it is customary for the groom to pick up the bride at home and go together to the place where the ceremony will be held, which may be the Town Hall, a Church, another significant building or outdoors. If the marriage is civil, the ceremonies usually have a more personal touch than here. Not only if a family member or friend officiates, but also when it is carried out by a councilor, because he has usually been informed of the love story between the couple and makes reference to it throughout his speech. Even sometimes the couple is allowed to intervene by telling what they like about each other. After the rite the reception takes place, in the same or in another place, where drinks and something to snack are served. There is a wide range of venues to choose from: hotels, castles, «chiringuitos», farms, zoos, museums, gardens, forests, planetariums… It is there where we have the opportunity to congratulate the bride and groom and give them the gift, whose value usually does not exceed 50€. After the cake is cut (yes, most of the time before dinner) and all the guests try a piece. This cake can be a true work of art, made by a professional or by the family. After the reception the bride and groom go with a small group composed of the most intimate family and friends. The rest take dinner on their own before continuing with the party. This may sound a little weird but in the invitation that is sent a few months before the D-day, the couples divide their celebration at different times, so that one can be invited to the ceremony, to the reception, to the dinner, to the party, to a combination or to everything. This is clearly indicated on the card. In addition, if the couple wants to give them money, they usually put the symbol of an envelope or a dollar to make it clear. The party with which the day ends does not usually last as late as in Spain and has a slightly different character, since not only is dancing, but friends often make performances or sing songs with lyrics adapted for the occasion. 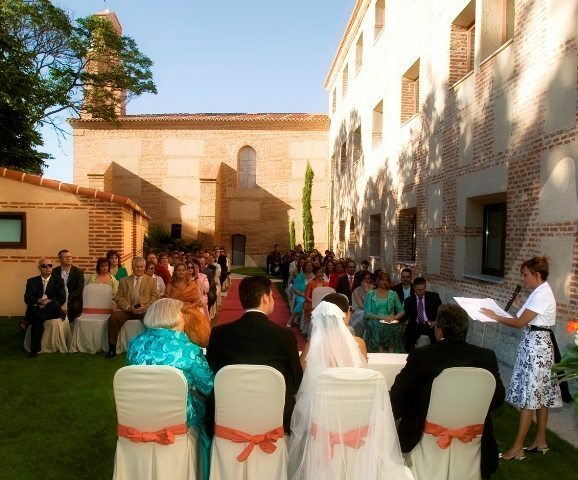 Often the couple assigns some friends as their masters of ceremony months before the wedding. This role is an honor, but it involves a lot of work, because after all, they become the “directors” of the wedding. Prior to the celebration or the same day, they are the ones who answer the questions of the guests. They also inform others involved, such as witnesses, of their exact tasks; collect the contact information of each of the providers; they have to be aware of all the speeches and performances of friends and family throughout the day and establish order; sometimes it’s up to them to organize the farewell party and a long etcetera. It can be said that, in large part, they are responsible for several tasks assumed by the wedding planners. And last, but not least, the dress is usually quite different, not the dress and the suit of the bride and groom, but that of the guests. In the Netherlands, people are dressed in a simpler way: clothing is not formal, nor are obligatory visits to the hairdressing salon. Not even women go crazy to not repeat outfits. As you can see, the differences between countries reach the world of weddings, which one do you choose?